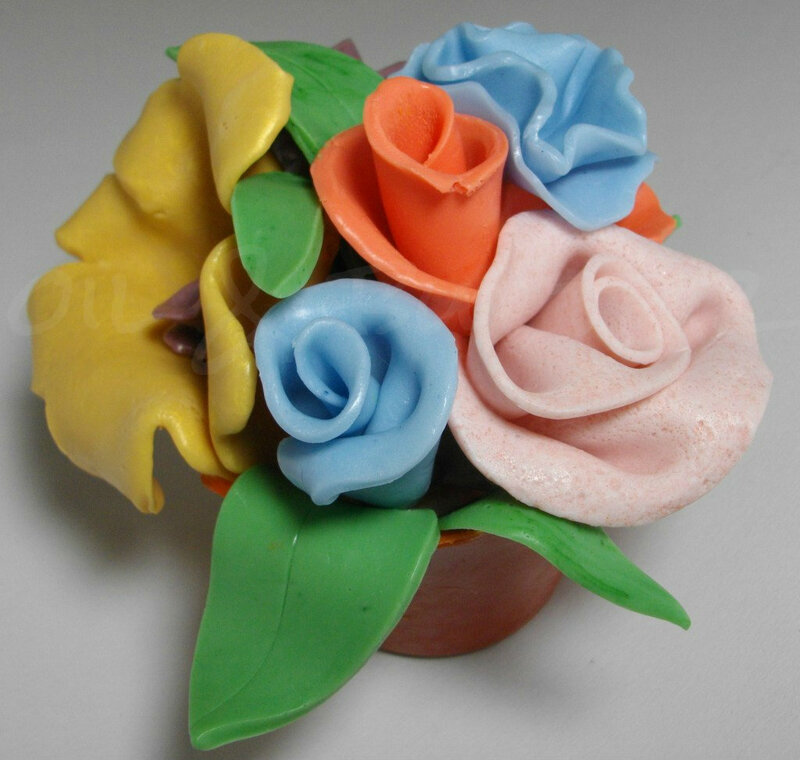 Wow, your soap flowers are gorgeous, Cee Gee! Great job rolling the flowers. You are so creative! What a neat idea to use liquid castile to keep the soap flexible. And I love the little flower pot! It keeps me out of trouble...lol! Is this the one another soaper refers to as "fondant soap"?